ABA representatives, Drs. 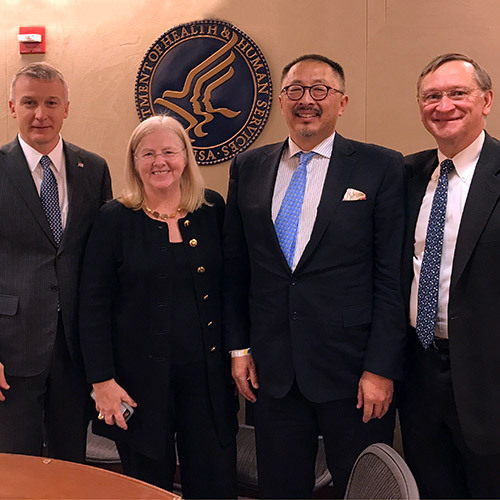 Colleen Ryan, Jim Jeng, and Steve Wolf have been attending many meetings this past summer, in Washington, DC, with the Office of the Assistant Secretary of Preparedness and Response (ASPR) to discuss medical care in response to a disaster. These demonstration projects are the initial steps ASPR is taking to build a Regional Disaster Health Response System (RDHRS). In September 2018, ASPR’s Hospital Preparedness Program announced the recipients of the RDHRS demonstration projects: Nebraska Medicine in Omaha, Nebraska, and Massachusetts General Hospital in Boston, Massachusetts. Both projects must show the potential effectiveness and viability of a Regional Disaster Health Response System. Please read the press release for more information. ABA will be participating in key partnership activities to convene expert advisory groups to examine disaster health response, develop disaster teams, and document progress and develop measures for success. Advisory group meetings will be held each quarter to review pilot project activities.